I’ve been thinking a lot about confidence lately. And it all started with a recent trip to the grocery store. So there I was, Saturday morning, groceries in hand waiting in the check-out line at Safeway. As I was looking around, I recognized a girl I knew through a mutual acquaintance. And not just any girl. This happened to be the girl who you look at and immediately think Confidence, with a capital C. Even on a Saturday morning in the grocery store, she walked with confidence, dressed with confidence, and even carried her vanilla latte with confidence. First thought — Where’d she get all that dang confidence, and how could I get more of it?! Confidence is something we all naturally want more of. It helps us feel better, do better, and achieve more. And in our work as coaches, I’d say we especially want confidence on our side. From one-on-one coaching convos, to leading whole staff PD, to facilitating grade level meetings–confidence comes in real handy. So let’s talk about it. If confidence is something you struggle with, don’t worry. We all do! Even if we do a good job of hiding it, we all have insecurities that creep up now and then. But don’t let that fear stop you from doing hard things. Confidence can be developed and strengthened just like anything else. Here are a few tips and tricks I use to help me build my own confidence as a coach. STOP IT. Stop it right-this-second. Your thoughts and words create your reality just as much as your actions. When I was in the classroom, one of the things I always used to say to my kids was: You Can Do Hard Things. And guess what? They could! And so can you. Surround yourself with positive language. 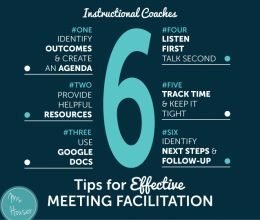 Post it on a sticky note, in your coaching office, and in your planner! Use this poster to get you started. Dana Perino is a news anchor who sure has achieved a lot in her career. And she needed a lot of confidence to do it. In a recent interview, Dana shared that one of the best pieces of advice she could give to women in building their confidence: find and use your strong voice. I appreciate this advice so much, I think I’ll say it again. Find and use your strong voice. When you have conversations with your principal, or with other teachers, pay attention to how your voice sounds. Is it weak and whiny, ending in a lot of question marks??? Share you advice, thoughts, or ideas with confidence. Use your strong voice. On my walks with Sombra dog, I’ve been listening to the book Presence by Amy Cuddy. Amy does a great job of explaining the concept of presence, and how it contributes to us showing up more confidently in our daily lives. One of the big things she talks about is body language. I have to constantly be reminding myself of this one. Things like slumped shoulders, crossed arms, and your nail picking/biting habit (guilty) do NOT convey confidence. When you move into your coaching session, I’ll betcha feel more confident. Keep that posture straight, smile and nod as you listen, and coach away! I read an interview recently with Megyn Kelly, in which she described owing much of her success to hard work and intense preparation. Now if Megyn Kelly can’t teach us a thing or two about confidence, I’m not sure who can. She pretty much oozes confidence. As Megyn said, when you’ve prepared well you know what you’re doing which leads to more confidence. 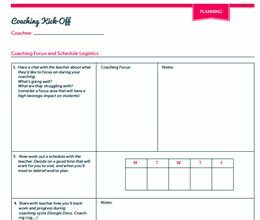 One of the things we’ll talk about in the upcoming Walk Through a Coaching Cycle Workshop (planning sheet included! 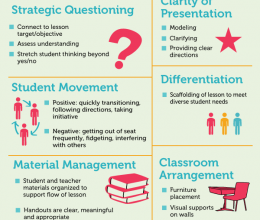 ), is how to prepare for (and feel more confident in) facilitating effective feedback sessions. Guess what. You’re pretty awesome. And you should know exactly what makes you awesome. Grab a sheet of paper right now, and write down 5 things you know you’re super good at. I’m a dang good compliment giver. I can organize a classroom like a boss. I’m pretty great at building relationships with other people. Even the sticklier ones. I am ninja good at planning a guided reading lesson. Knowing you’re strengths and what you have to offer your school and the teachers you work with, is worth a million confidence bucks. Try setting a goal, just a small one, then work to achieve it. Maybe it’s something like setting aside 30 minutes to intentionally plan for each of your feedback sessions this week. Write it down in your planner, and check off each planning session accomplished. You’ll look at that “got-it-done” check mark and feel great about yourself. In your journey to increased confidence, you have got to push yourself outside of your comfort zone. I’ll be the first to say, I’m not always great at this. I like my comfort zone and the ease that comes with staying in it. But! Staying comfortable was never the factor that helped me achieve more, and in turn build more confidence. Tough situations, those ones that cause you some anxiety and butterflies-in-the-stomach feelings, are the ones that will build your confidence. Move towards them, dance with them, and know they’re doing your confidence some good. This one really does work. Some of my most confident days have come after a sweaty cycle class, jammin’ out to Lady Gaga. Building your physical capabilities, builds your mental capabilities, which equals more confidence. Even if it’s just a good playlist, and some dancing around to get those feel-good endorphins going, take advantage of movement as one of the most empowering activities out there. And there you have it! Seven top tips for continuing to build your confidence. Try to choose one to focus on next week, and see how it goes. 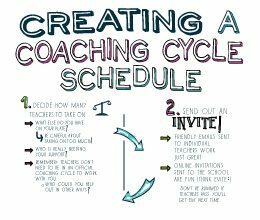 If Coaching Convos and Cycles is an area you’re looking to build more confidence in, make sure you’re signed up for the Walk Through a Coaching Cycle Workshop! Thanks for reading! You’re the BEST!